According to Brookings Institution research, downtown universities (compared to their peers) produce 80% more licensing deals, disclose 123% more inventions, receive 222% more income from licensing agreements and create 71% more start-ups. 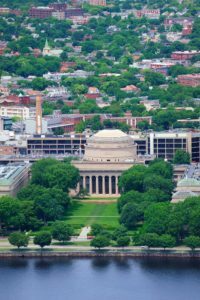 Hidden in Plain Sight: The Oversized Impact of Downtown Universities identifies the following as the top 10 downtown research universities: Rochester University, MIT, Columbia, Penn, Carnegie Mellon, Johns Hopkins, Temple, Vanderbilt, Rice and the University of Washington. “While research universities are of economic importance anywhere, they are particularly relevant to the economic vitality of cities because their geographic proximity to firms increases the interplay between companies and schools,” authors state. “Cellular service is headed to a slew of devices, via low-power chips that are cheap to make and easy to incorporate into larger products. Verizon and AT&T want to see them in security alarms, first aid kits, medical alert bracelets, collar tags for dogs, fitness trackers and more, adding new tracking and monitoring capabilities. A complex formula involving 35 measures, developed by researchers at Xavier University’s Williams College of Business, comprises the American Dream Composite Index. The goal is identifying the extent to which people living in the United States achieve the American Dream. States: Louisiana and Idaho (104 index score compared to 100 average); Washington and Colorado (102); and Ohio, Florida and New York (101). Metros: Salt Lake City, Utah and Baton Rouge, Louisiana (107); York-Hanover, Pennsylvania and Toledo, Ohio (106); and Syracuse, New York, Boise City-Nampa, Idaho and Miami-Fort Lauderdale-Pompano Beach, Florida (105). This entry was posted in Technology and tagged cellular service, economics, innovation, Tech Talk, Technology, universities by Bill Waltz. Bookmark the permalink.